December 2015. 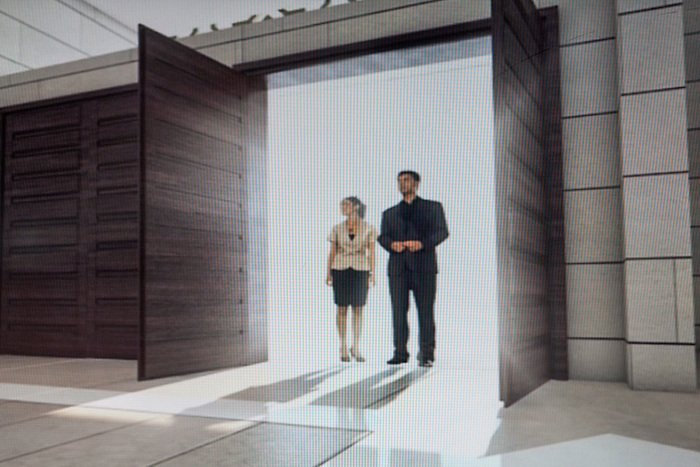 Shot from a promotional 3D video screened at the showroom. In the video, these doors open to the future mall located at the heart of Rawabi.